Plan is © Copyrighted and is permitted for personal use only. After the payment is made, please allow 24-48 hrs for plan to be emailed. DESCRIPTION: This plan is for 28'x36' custom built barn style garage with Pine board & batten siding and shingle roof. Garage has shop area and storage in the back. 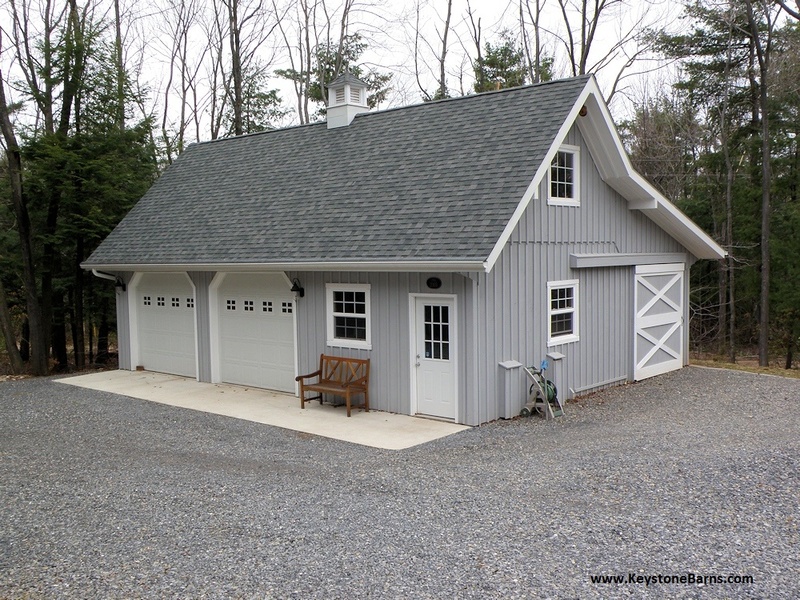 This garage has (2) 9'x8' overhead garage doors, (1) 3068 entry 9-lite door, (1) 8'x8' wooden slider and (7) windows. We only have one image of this garage. This garage is one of our most popular designs that many people seem to like. NOTE: If you live in hot and humid area, we recommend to substidute Pine siding for either Cedar or fiber cement siding.